Disclosure: Simplyeighties.com is a participant in the Amazon Associates affiliate program. This allows us to earn fees by linking to products at amazon.co.uk. This very 80s and very British cartoon superhero first launched onto our TV screens on October 3rd 1983. There were three series which featured the voice of Graeme Garden as Bananaman himself, as well as Maurice of the Heavy Mob and General Blight. The two other Goodies, Bill Oddie and Tim Brooke-Taylor, also provided voices for many other characters. In the cartoon, Eric Wimp transforms into the superhero after eating a banana. 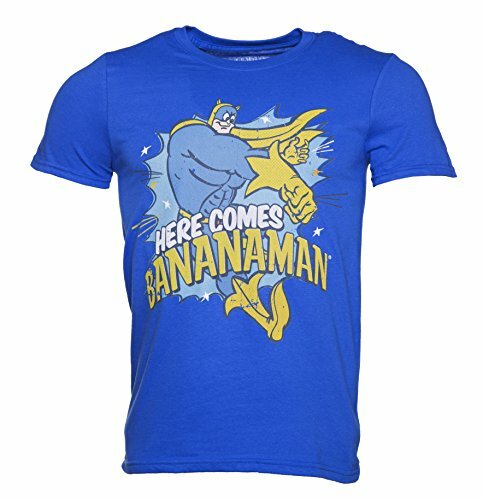 If you've ever dreamed of becoming the muscle-bound Bananaman, then stop dreaming because now you can - and you don't need to eat a banana! If you're off to an 80s or retro-themed party or event, then you can't go far wrong in this great-looking costume. 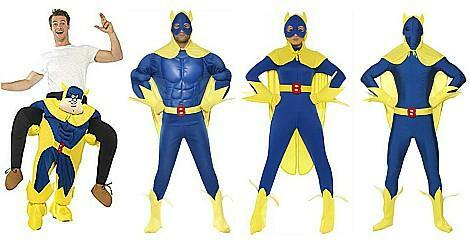 If you're stuck for a fancy dress idea for a couple, then why not dress as Bananaman and Bananagirl? These head-turning outfits are sure to go down well at just about any event. 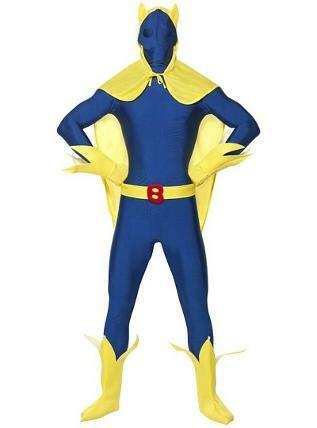 The best choice and range of costumes can be found at Amazon UK, where leading fancy dress suppliers are all selling their wares at very competitive prices, and you also get to see which are the best-rated by customers. Of course, there was no Bananagirl cartoon in the 80s, but don't let that stop you from becoming Bananaman's new partner, we now have a female Doctor Who, after all! 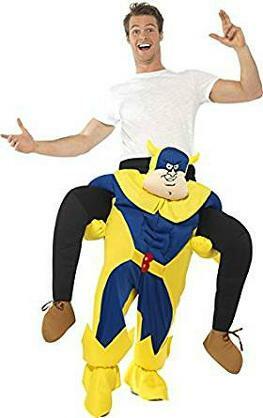 This costume comes in two sizes, 8-10 and 12-14. Unfortunately, there is nothing larger available. The outfit included the Cat suit, Mask, Cape, Gloves & Boot Covers, and represents pretty good value. 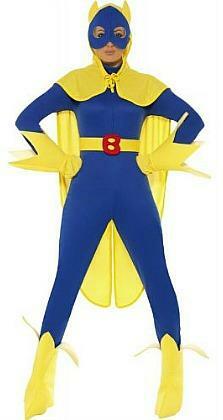 Also available is this fun Piggyback Bananaman Costume which would go down a storm at any fancy dress party. However, it's not cheap, but worth it if you want to stand out from the crowd. 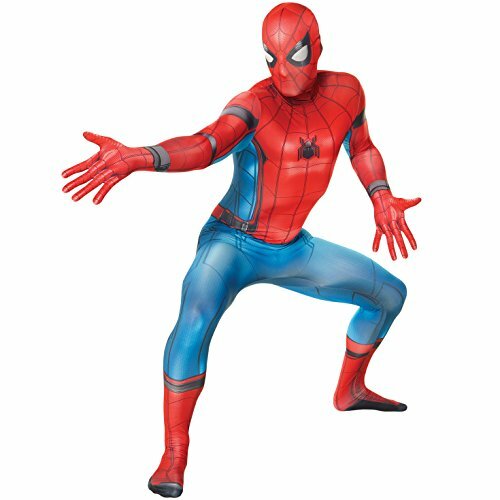 Another option is this second skin costume. 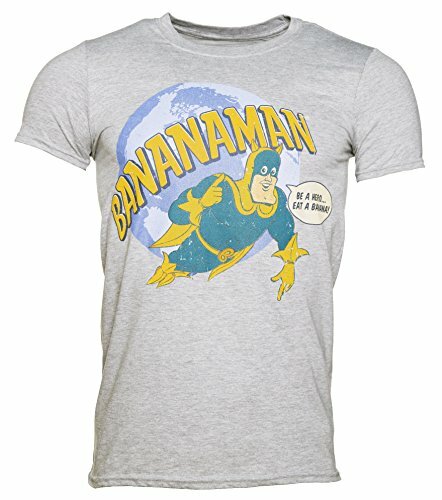 Now, being almost 50 and far from slim, this would look ridiculous on myself, although Bananaman with a pot belly would be a damn good laugh! Please note that this costume is quite tight and will leave nothing to the imagination! It also doesn't have a padded chest like the first costume featured on this page. Okay, let's take a look at the prices. Below, I have linked to the best-priced suppliers on Amazon.